While driving on the road, the driver checks in the rear view window to see the approaching traffic. An important activity if the driver wishes to take a turn or brake. However, for driving forward, he looks forward through the windscreen. He looks at possibilities and opportunities ahead. While feedback is important, it is feed-forward that opens possibilities for growth and enterprise. The second point that emerges is that, both are important. If done well, feedback can make us become more creative, develop resilience and support spiral learning. But if not done in a positive and safe environment, it can cause stress, uncertainty, helplessness and inhibit executive function thereby restricting cognitive processing by the brain. On the other hand feed-forward is fun, positive, with ideas for the future and non-judgmental. The concept of feed-forward has been around for about two decades and was originally developed by management expert, Marshall Goldsmith. 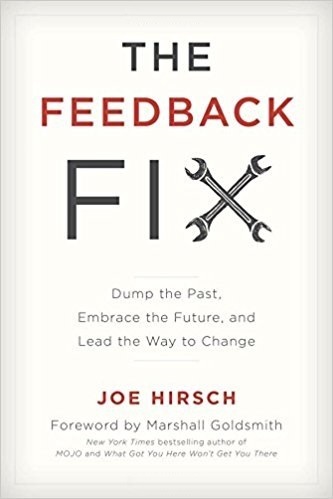 Joe Hirsch, author of The Feedback Fix:Dump The Past, Embrace The Future, and Lead The Way to Change explains in detail how the practice can be learnt and applied to not only our work environment but more importantly to developing student and teacher agency. Agency, in simple terms can be defined as, the Power to Act. How then, does feed-forward propel a teacher, administrator or student to act and not just react? What areas does feedback not address? Joe describes the process into six steps called REPAIR. Regenerate allows one to see possibilities that are granular in nature and can be accomplished with a bit of stretch. For example, a student who is good at math, coaches younger students making them better at math. Hirsch calls it the multiplying effect. Feed-forward focuses on the Particular. Instead of sharing a whole lot of information, it is important that the most pertinent point be shared. Every single thing need not be shared in one go. Avalanche of information can be depression and unmanageable on one hand and difficult to analyse and prioritize on the other. receiver confused. Feed-forward on the other hand encourages specific and genuine comments for improvement. For Impact, it is important to support the suggestions with examples or modeling. An incremental approach through PREP, follows the steps of Pointing, Reasoning, Explain, and Prompt to improve. He further explains in his book how coaching and following the PREP model leads to an improvement of performance by 95 percent. Refines: The management strategy, creative abrasion, opens up the arena for feedback not only from top to down but also lateral. Receiving feedback from peers brings us different perspectives leading to refinement of what is being shared. Students too should be encouraged to seek feedback from not only their friends but also different people. Feed-forward, removes the element of being judged or critiqued. It offers possibilities, allows development of growth mindset, is positive and non-threatening. Most important, it gives the power to the individual to identify their own areas of improvement. Instead of being a prescription, it is a description of what can be done.